Okorocha would be defying all political theories if he could come to the podium in an APC mega rally where Buhari and the national executive of the party is seated to say what he said at the interview. It is not possible. I say it as a thorough breed politician that his statements at the interview was a scam. He has scammed and led Nwosu into temptation. Nwosu's Guber ambition is now clearly a disaster and dead on arrival. In short Okorocha has abandoned the Nwosu project. Nwosu and co are right away on their own. Okorocha has moved on to save and direct his own political future. 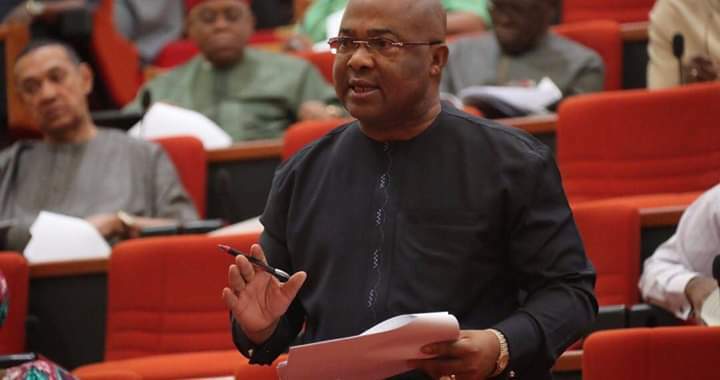 Therefore Uzodinma has no domestic foe to really contend with. Another uniqueness. As for the Ihedioha campaigns, Senator Sam Daddy by n-PDP has dealt a mortal blow to that campaign. The Ihedioha power block is today only been powered by the National Assembly associates of espirit de corps. Only the Alagbaoso's, Jones Onyeriri's, Onyewuchi's cannot drive a Governorship campaign to victory. That campaign cannot really stand the huespa of a tough Governorship campaign. We are yet to hear about Nwosu's deputy. He is likely to use one of these louts by their Youth o'clock slogan. It will not bring value to the nearly deserted group.